Newport Harbor 1, West Hills Chaminade 0: Junior Makenzie Trigo scored, assisted by senior Chanse Hill, in the Sailors’ nonleague season opener Tuesday on the road. 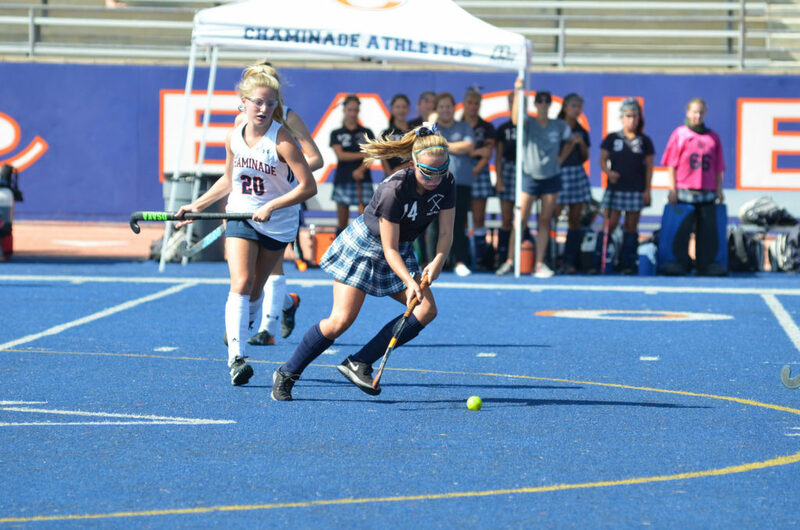 Newport Harbor returns to action with a home game against La Verne Bonita on Sept. 4 at 7:00 p.m.
Newport Harbor Junior Varsity Field Hockey also had a victory over Chaminade on Tuesday. The Sailors won 3-0 with two goals scored by Kaycee Kontra, and another by Lana Burns. Goalkeeper Abby Watson had one save and Camryn More had three saves. Go Newport! – We had a great fundraiser on Saturday for Ding Dong Dollars! Thank you to all of the parents who were involved with planning, driving, and lunch afterward to help raise support for the program! A makeup day will be announced soon for those players who were unable to come. – Uniforms were handed out at practice last Wednesday. Click here for more information on care instructions. – The JV team still needs a Team Parent. Please let us know if you can fill the spot and help the team out! Thank you to the parents who have signed up to volunteer for the program. If you haven’t had a chance to volunteer yet, please visit http://blucore7.wixsite.com/volunteers. – Parents! Save the Date! Our Annual Parent Party is Sunday, September 9, 5:30 – 7:30 p.m. More information coming soon. Monday – Practice at 7:00 – 9:30 a.m. at Davidson Field. Team Dinner at the Blanchfield Home. Tuesday – First game of the season! Away game at Chaminade High School at 3:00 p.m. Bus departs at 12:45 p.m.
Wednesday – Practice at 7:30 – 10:00 a.m. at Davidson Field. Thursday – Practice at 5:30 – 8:00 p.m. at Davidson Field. Monday – Practice at 8:30 – 10:30 a.m. at Davidson Field. Tuesday – First game of the season! Away game at Chaminade High School at 4:15 p.m. Bus departs at 12:45 p.m.
Wednesday – Practice at 8:30 – 10:30 a.m. at Davidson Field. Thursday – Practice at 8:30 – 10:30 a.m. at Davidson Field. Monday –Practice at 9:30 – 11:30 a.m. at Davidson Field. Tuesday – Practice at 9:30 – 11:30 a.m. at Davidson Field. Wednesday –Practice at 9:30 – 11:30 a.m. at Davidson Field. Thursday –Practice at 9:30 – 11:30 a.m. at Davidson Field. Newport Harbor Field Hockey players received their field hockey uniforms today! 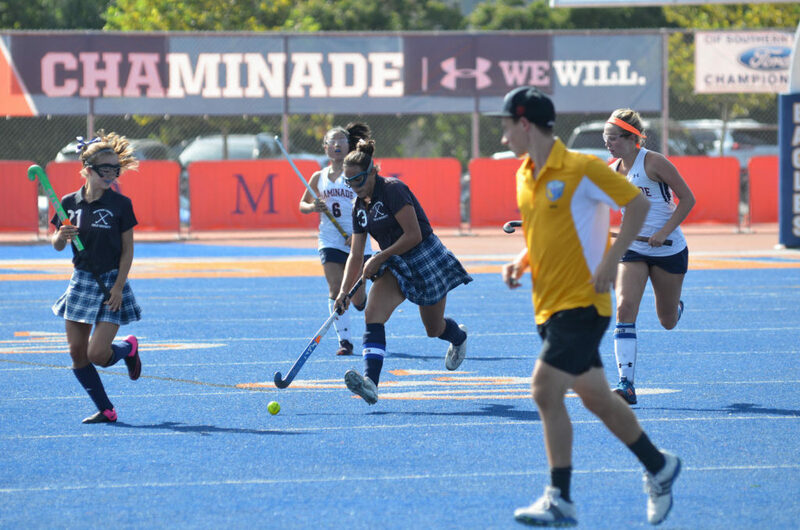 Our uniforms are an iconic element of the program, having been worn by Newport Harbor Field Hockey players for decades…literally! Please handle them with care by following the instructions below and plan to return them in excellent condition at the end of the season. Do not change the length of the skirt by cutting the material or sewing the hem. If you have an issue with skirt length, please contact your team parent. You may move the buttons along the waistband to adjust the fit. Other than this, please do not alter your skirts. Hang dry (preferred) or tumble dry on low. Try not to bleach. If necessary, use non-chlorine bleach only. Soak in Oxiclean before laundering to remove sweat stains. Thanks for your help with this! If you have any questions about uniforms, please contact your team parent. The 2018 Field Hockey season is here! This is the first Stix Weekly of the season. Each week there will be a post with everything you’ll need to know for the upcoming week and near future (as best as we can predict). There will be a ‘Program Wide’ section as well as individual team sections. These are our best laid plans for the week, so please be aware that information is always subject to change. – Click here for the link to PayPal for the player contribution if you haven’t already. – Uniforms will be handed out at practices on Wednesday. Please be sure to take care of them and follow the wash instructions that will be given with the uniform. – Thank you to the parents who have signed up to volunteer for the program, if you haven’t yet, please visit http://blucore7.wixsite.com/volunteers. We especially need volunteers for our big fundraiser, Ding Dong Dollars, this Saturday. – If you are interested in a backpack or a yard sign, these must be pre-ordered by Friday, August 24. To order an embroidered field hockey backpack for $70, click here to pay and email the order information to Rene Baldwin at rene6544@att.net. To order a yard sign for $25, click here and email the order information (from the Registration, Contribution and Merchandise Form Attached) to Rene Baldwin at rene6544@att.net. Monday – Practice at 7:30 – 10:00 a.m. at Davidson Field. Tuesday – Practice at 7:30 – 10:00 a.m. at Davidson Field. Wednesday – Practice at 7:30 – 10:00 a.m. at Davidson Field and receive uniforms! Friday – Practice at 7:00 – 9:30 a.m. at Davidson Field. Saturday – Ding Dong Dollars Fundraiser at 9:00 a.m. – 12:45 p.m. Meet in the junior parking lot at NHHS. Tuesday – Practice at 8:30 – 10:30 a.m. at Davidson Field. Wednesday – Practice at 8:30 – 10:30 a.m. at Davidson Field and receive uniforms! Friday – Practice at 8:30 – 10:30 a.m. at Davidson Field. Monday – Practice at 9:30 – 11:30 a.m. at Davidson Field. Wednesday – Practice at 9:30 – 11:30 a.m. at Davidson Field and receive uniforms! Friday – Team Bonding at Newport Peach at 11:30 a.m. 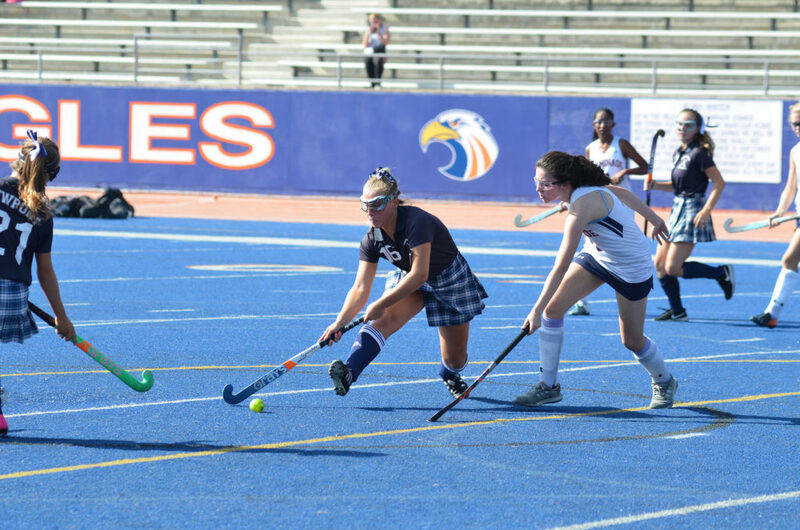 The 2018/2019 Newport Harbor Field Hockey Teams have been posted to the Teams Page. For information on other activities at Newport Harbor High School visit http://nhhs.nmusd.us/. New Players – 8:00 – 9:30 a.m. Returning Players – 9:30 – 11:00 a.m. 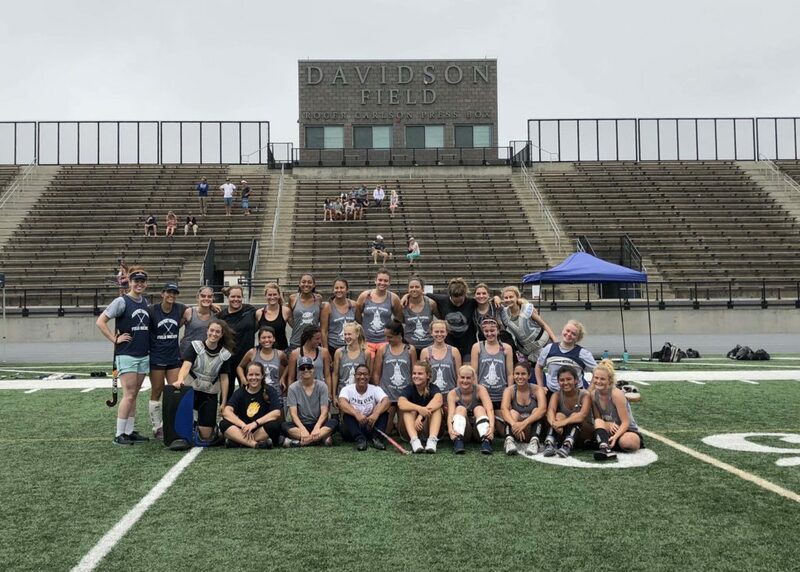 Thank you to all players for your participation in the Newport Harbor Field Hockey Summer Camp and Newport Harbor High School Field Hockey Tryouts. Teams for the 2018 season will be posted no later than 9:00 a.m. on Wednesday, August 8. Thank you to all who came out for the Newport Harbor Field Hockey’s 13th Annual Alumni Game! It was a fun morning of field hockey!